Go ahead, do yourself and your family a favor ... live longer. Black Raspberries, affectionately known as Blackcaps by growers, are native to North America. 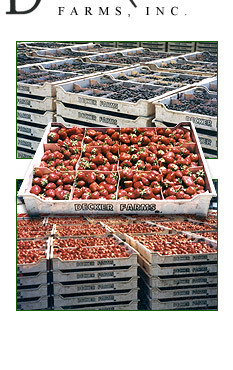 These uniquely flavored berries are popular in specialty foods, especially jams and ice cream, and are used as a coloring agent as well. A majority of the crop is processed as individually quick frozen raspberries, frozen raspberry puree, or frozen raspberry juice concentrate. Other processing methods include canning, drying, processed bakery fruit fillings and essence, as well as aseptic packaging. 1. Oregon Raspberry and Blackberry Commission.